CENTERVILLE – Sometimes, things just come together. You may have to have a little luck along the way but when everything aligns just so – you can capture magic in a bottle. 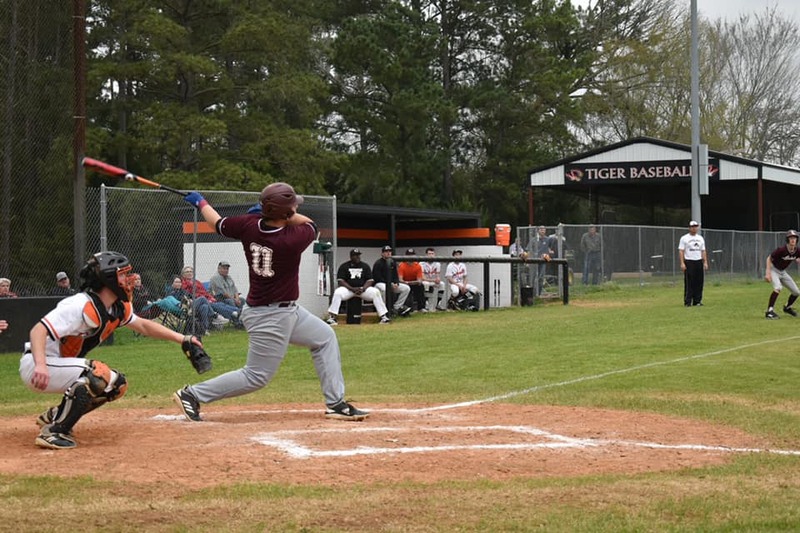 Such was the case for Lovelady Lion Carter Murray on Tuesday, March 12 against the Centerville Tigers. Murray had a day for the ages as he went 3-3 with a pair of grand slams and just missed a third homer when he drilled it off the bottom of the wall. He finished the game with eight RBI and also drew two walks. Unfortunately, the Lions couldn’t withstand a nine-run fourth inning from Centerville as they fell by a final score of 17-14.